The Samsung Galaxy S9 and S9+ are now available for your purchasing decisions. The devices are $960 or $1100 at pretty much all carriers. Can't remember what the S9 series brings? Check out the comparison of its stats to the other flagships out there you can visit our database page. Designed for those who Do What You Can’t, the Galaxy S9 and S9+ feature a revolutionary camera that completely reimagines the way you communicate with the world around you, stereo speakers tuned by AKG, and a refined Infinity Display that allows you to see more and hold less. 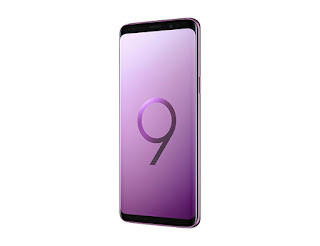 The Galaxy S9 and S9+ will be available in Canada in two eye-catching colours, Lilac Purple and Titanium Grey, through Samsung Experience Stores, online at Samsung.ca, and through all major Canadian carriers for $960 and $1,100, respectively. Canadians who trade in their old phones will also receive a minimum of $100 off in addition to the trade in value when you purchase the Galaxy S9 or S9+ through April 9, 2018.